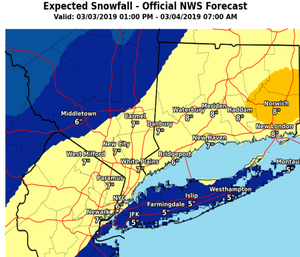 The National Weather Service is predicting rain/snow mix beginning Sunday afternoon, March 3, from west to east changing to all snow by early evening. There is a potential for 4 to 8 inches by daybreak Monday, March 4. Learn more about the weather forecast here.